Lisa Langlois is a Canadian actress who appeared in a number of horror movies such as Phobia (1980), Happy Birthday to Me (1981), Deadly Eyes (1982), The Nest (1988), Transformations (1988), as well as the Claude Chabrol-directed thrillers Violette Nozière (1978) and Les liens de sang (1978). She also delivered a stellar performance as punk queen Patsy in the cult shocker Class of 1984 (1982). Her television work includes appearances on The L Word (2008) and Heartland (2007), and starring roles in TV movies such as The Perfect Marriage (2006), Framed for Murder (2007) and Fire Serpent (2007). Most recently, she appeared in the Edgar Allan Poe biopic Last Days of the Raven (2008) and the drama Summer Eleven (2010). 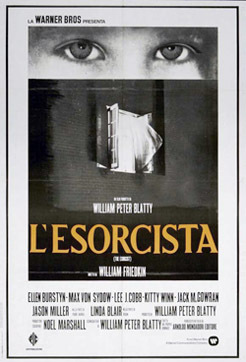 During the Miss Teen Canada pageant of 1974, I was a closet fan of William Friedkin's The Exorcist in the worst way. I remember there was this whole moral attitude going on at the time, regarding whether you were of an acceptable age before you saw The Exorcist. It was considered "immoral" if you had seen it and were under the age of, say, seventeen years old (or whatever the legal age was to be admitted). So I secretly hid the fact that I really, really wanted to see the movie. And I wasn't going to admit that to the pageant judges! The whole experience of The Exorcist made a lasting impression on me. Not just the film itself. But the audience response to it as well. Even before I went to see it, I heard stories of people having heart attacks in the aisles, or fainting during certain scenes, or stumbling out disoriented. I was about fifteen. Luckily for me, I happened to look a few years older -- maybe seventeen or eighteen. I was fairly certain I could "pass" and get inside the theatre if I really wanted to. So I did. I went to a movie house in Hamilton, Ontario with my boyfriend at the time, who was a little bit older than me. It was a terrifying experience. On several levels. Having been raised in the Church, I was still very much a practicing Catholic at the time. You trusted religion as the be-all, end-all protector of everything that was good and holy. For instance, in nearly every scary movie made in the decades before The Exorcist, you'd simply have to flash a cross and the vampire, or demon, or whatever, would cowl at it. The Exorcist was different. This was one of the first times when that sort of thing didn't work. Here, in the face of the Catholic Church, the Devil was unflinching. He was vanquishing. And as a teenager, I found that concept incredibly unnerving. Two other favorites of mine are Roman Polanski's Rosemary's Baby (1968) and Stanley Kubrick's The Shining (1980). Those disturbed me just as powerfully as The Exorcist, but in a different way. In Rosemary's Baby and The Shining, the horror is all suggested. You never really see Satan in Rosemary's Baby. And most of the terror in The Shining is psychological. 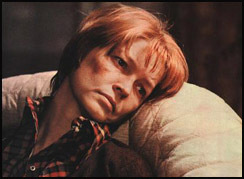 But with The Exorcist, the horror is pretty much seen or heard with all the special effects and superb audio effects. I mean, it's right out there in front of your face. Scenes like the one where Regan is masturbating with a crucifix...wow, so overwhelmingly frightening. I do think one of the things that is similar between The Exorcist and Rosemary's Baby and The Shining, though, is the fear of people not being who they seem. That you can't trust someone by their appearance or behavior. At its core, that unknown and mistrust is the heart of fear.